The Department of Physics is pleased to invite faculty members and graduate students to attend its scientific meeting under the theme:" Physics Future Aspirations and Applications". 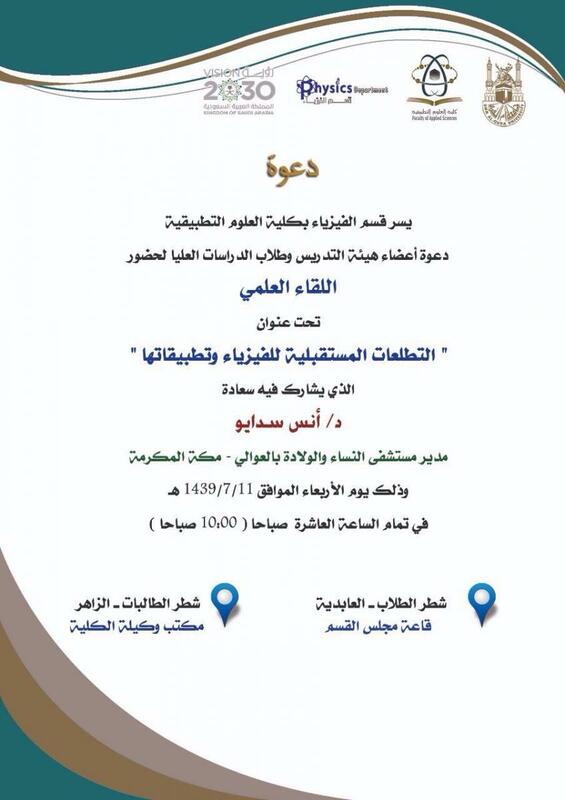 The meeting will witness participation of Dr. Anas Sadaio the Director of Maternity and Children Hospital at Al-Awali. The meeting will take place on Wednesday morning Rajab 11, 1439 H, males section, Abdyia, department council hall and Al-Zahir campus for female students, the office of the college vice dean.